Online ordering menu for Taste of India. 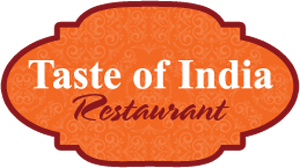 We serve authentic Indian cuisine here at Taste of India Restaurant in Wayne, Pennsylvania. A few of our dishes include the Chicken Tandoori, Lamb Curry, and Fish Masala. We also serve Chicken Mango and Goat Bhuna. We're located on Swedesford Road between Valley Road and Valley Forge Road. We're not far from Wilson Farm Park. Order online for carryout or delivery!